Posted on September 5, 2018 | 2604 views | Topic : AMA, Featured, Featured Articles, News & Articles, Property News. 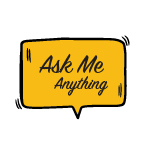 Ask Me Anything is a platform for readers to ask about all things property. If you have any inquiries, key in your questions at bit.ly/AskMeAnythingProperty. This week, Canaan Building Inspection Sdn Bhd project director Sr Joshua Kang enlightens us on issues relating to safety and building inspection. Q1: How much does building inspection cost? A1: In the Klang Valley, the cost of building inspection for new property is RM850 for a 1,000sf space while for sub-sale property the cost is RM650 for the same space. The cost depends very much on location, type and size of the property. Q2: What are the areas covered during a regular building inspection? A2: Areas covered during a building inspection include structural, mechanical and electrical, architectural and external works. Q3: Can you explain about the standard procedure for building inspection? A3: When carrying out building inspection, there is a specific formula to adhere to. As a purchaser, you can use this formula to carry out the inspection. The formula is called ‘6 + 1’. The number 6 refers to the floor, wall, ceiling, door, window, and fixture. The number 1 refers to mechanical and electrical fittings. Q4: What are the problems that cannot be taken lightly when carrying out a building inspection? A4: There are two problems that we should not ignore. First, the safety of the building. It is best to address the cracks on columns because the problem reflects the condition of the building. Second, water leakages can severely damage the property. Q5: Do high-quality fittings increase the Qlassic score? A5: There are no points for the material used. The assessor will only look at whether the fittings have been constructed according to the standard. Q6: How often should we conduct a building inspection? defects to ensure the highlighted issues have been fully resolved. Q7: What should I do if I find defects in my new house? form, it is crucial for the buyer to perform the building inspection, make the necessary complaints and submit the completed form.